Tyler Fox will be giving a workshop at ISEA 2012 (The Eighteenth International Symposium on Electronic Art) in Albuquerque, New Mexico) in September on using bioluminescent dinoflagellates along with physical computing. Fox will also be in Open Lab, a show at Vancouvers Gallery Gachet in June, 2012. 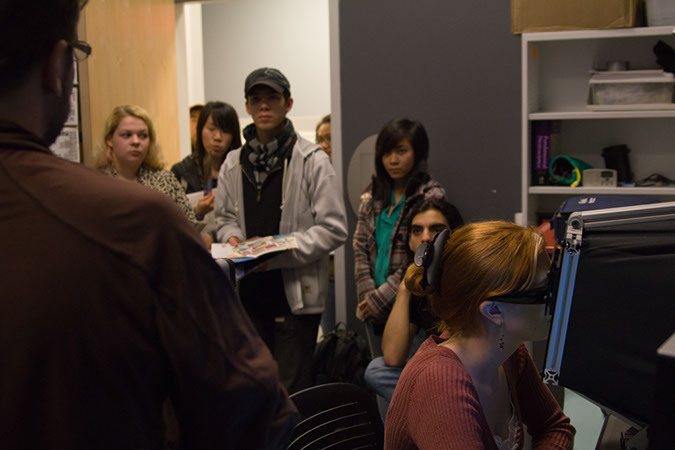 Open Lab involves artwork that encourages, and allows, the audience to change the parameters of the artwork. The show will run in conjunction with a number of workshops at Vancouver Hackspace. The Transforming Pain Research Group participated in the 2012 SFU Surrey Open House on March 1. A steady stream of visitors dropped by the lab to view the exhibits and posters. Click here to see more images from Open House 2012.